With the resurgence of the old religion of Hawaii and the continual invocation of Pelé and other "deities" for years in the secular culture and even in churches with regards to worshipping 'Io, is it any wonder that those beings are beginning to manifest again? 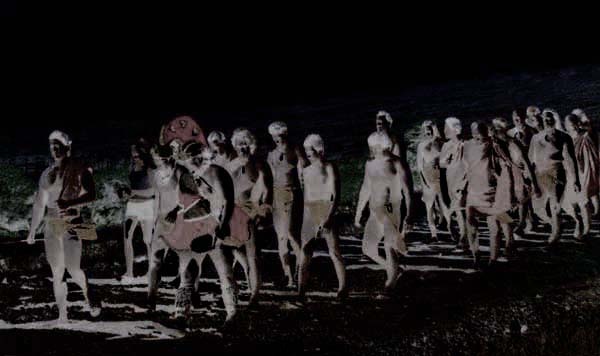 In a story called "Night Marchers" on the Kawaihae site and in a YouTube video on the same subject, eyewitnesses claim all kinds of sightings that they think are the warriors, ancestors and demi-gods of Hawaii coming back. Interestingly the first book the Hawaiian Heritage site recommends in its "Suggested Reading" list is "Perpetuated in Righteousness" by Daniel Kikawa that we reviewed in our book "Idolatry In Their Hearts" by Sandy Simpson and Mike Oppenheimer. Since Kikawa claims that 'Io is the True God and one that the Hawaiians worshipped in secret, we have to wonder if Kikawa also thinks 'Io is showing up in these night marches? Since YWAM, Aloha Ke Akua and Hilo New Hope participated in worshipping 'Io at the "edge of Hale-ma'uma'u Crater" it sounds like they have all been inviting the old "gods" to return to Hawaii. So is it any wonder that the "old gods" of Hawaii are beginning to make a comeback in the islands? But are these "night marchers" and "ufos" gods or extraterrestrials? No. It is clear these are manifestations of demonic activity as the enemy can see that opposition to his kingdom has fallen to the weakest point with many churches buying into the "supreme beings" nonsense of Don Richardson and Daniel Kikawa. Kikawa has a new book out with more mythology, which Richardson has endorsed, entitled "God of Light, God of Darkness" where he retells a number of myths told to him by "the matriarch of the ‘Iokane family'". This book should be sold as fiction but it is not. It is being claimed as the truth about the religious history of Hawaii. But it is clear that many of the stories do not square with true historical accounts. 'Io was not a secret god of Hawaii, but was a secret god of the Maori made up after contact with Protestant missionaries in order to sway the people back under the authority of the shamans ('Io - The Hawaiian Supreme God by Mike Oppenheimer). The only evidence of anything called "'Io" in Hawaii in ancient times was a hawk by that name. "The Hawaiian hawk was a royal symbol in Hawaiian legend, and it is sometimes called “'Iolani,” or “Exalted Hawk”, which was the name of Kamehameha IV and the 'Iolani Palace." (http://en.wikipedia.org/wiki/Hawaiian_Hawk) If this hawk was being worshipped that would have been consistent with the animistic nature of island religions in virtually every island of the Pacific where birds, fish, rocks, trees and other created things were being worshipped. Kikawa made up this religion from using very bad research and stories told to him by people whose myths cannot really be checked out. Read "Idolatry In Their Hearts" for more information on this subject. Having grown up in the islands of Palau since 1962 I was witness myself to many demonic episodes. When you live in a place that has not totally divorced itself from the occult you will see these things. 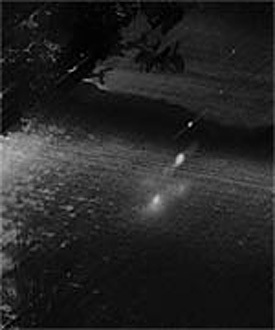 I saw fire balls underwater, not phosphorescence, but big bright balls moving a much faster speeds that any fish. I saw torches in places where no person goes ... not just me but many others have seen ghostly entities. We felt the presence of demons in their attempt to frighten and intimidate. Black entities actually showed up and spoke to me in my mind. I was witness to a number of demonic possessions. One man was demonized by little green people. I experienced demons coming out of individuals whom God delivered in revealing their true nature after having fooled their victims into thinking they were a dead grandmother or auntie. I could go on. You can believe me or not, but the point is that these entities were not benevolent, nor were they any kind of gods, except that they were still being worshipped by some. The fact that so many churches in the islands have bought into the false teachings of the World Christian Gathering of Indigenous People movement through the mythologies strung together by Inclusivists Don Richardson, Daniel Kikawa, Richard Twiss, YWAM and many others has left the islands open to the resurgence of demonic beings. The fact that so many church leaders are getting together with false teachers, false prophets, heretics and false apostles to pray in "transformation" to Hawaii is forging an unholy alliance that the enemy is sure to take advantage of. Not just Hawaii, but most of the other islands in the Pacific are going through the same things. Rather than thank the Lord for the first missionaries who came shod in "feet fitted with the readiness that comes from the gospel of peace" (Eph. 6:15) they have repeatedly vilified missionaries and are thereby opening the door to the very demonic entities whose influence was drastically inhibited by the presence of true Christians and the Gospel message. Of course YHWH was foreign to Hawaiians as He was to all Gentile cultures. The missionaries brought news of Jesus Christ to the oppressive cultures of the Pacific and many were freed from the chains of demonization. But now they want to bring it all back.